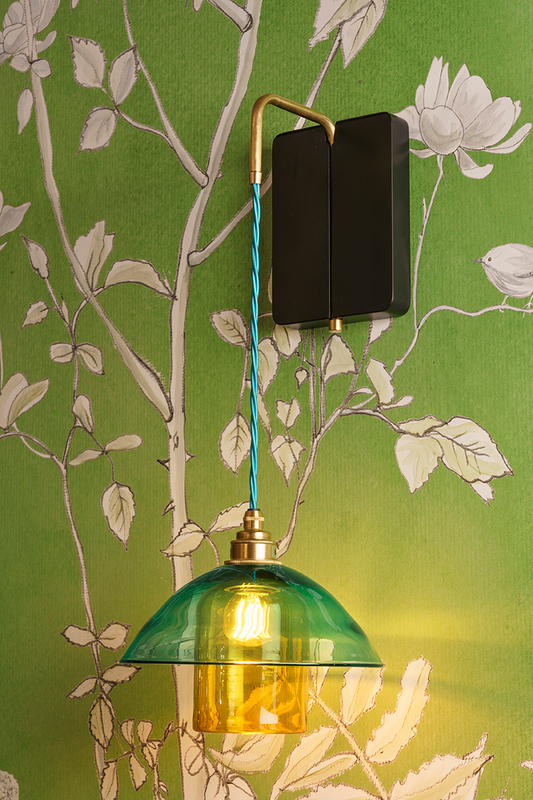 The Japonica is a beautifully balanced wall light infused with influences from Far Eastern design. 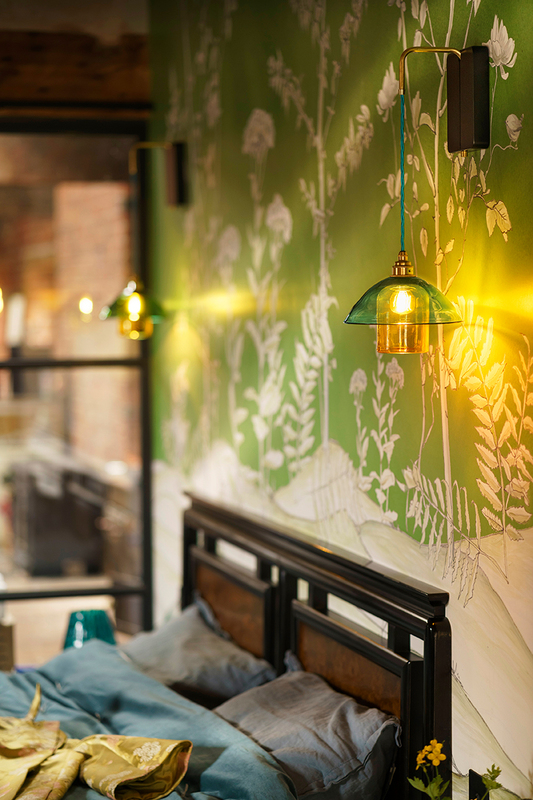 The light is made up of two layers of hand-blown coloured glass suspended from a twisted flex and natural brass arm, which is then secured to a sleek wooden wall fixture. Each light is made to order. Any of our small or medium shades can be chosen with a choice of 23 glass colours, as well as wood finishes, flex colours and fittings to create your own bespoke light. 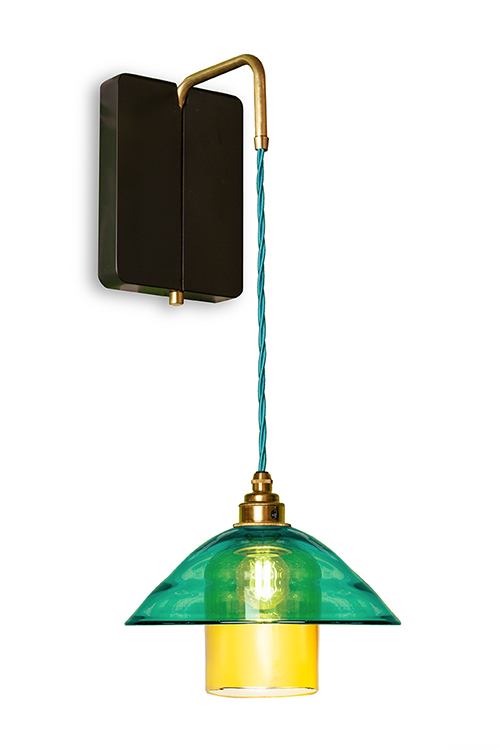 Pictured: Teal Shade with Yellow Ochre Cup, Cyan flex, natural brass arm, and Black Lacquer wall fixture. Set against 'Stoney Wood' wallpaper, also designed by Esther Patterson, launching at London Design Week 2018.